While growing up and living in West Virginia, I took many things for granted including really good hot dogs. There are so many places to get unpretentious, delicious hot dogs throughout the state that I did not know that it was not true of everywhere else. Granted there are many states that have a claim on having great hot dogs, but for my money the “West Virginia hot dog” can’t be beat. In fact, there is an entire blog dedicated to hot dogs in West Virginia, http://wvhotdogblog.blogspot.com/. 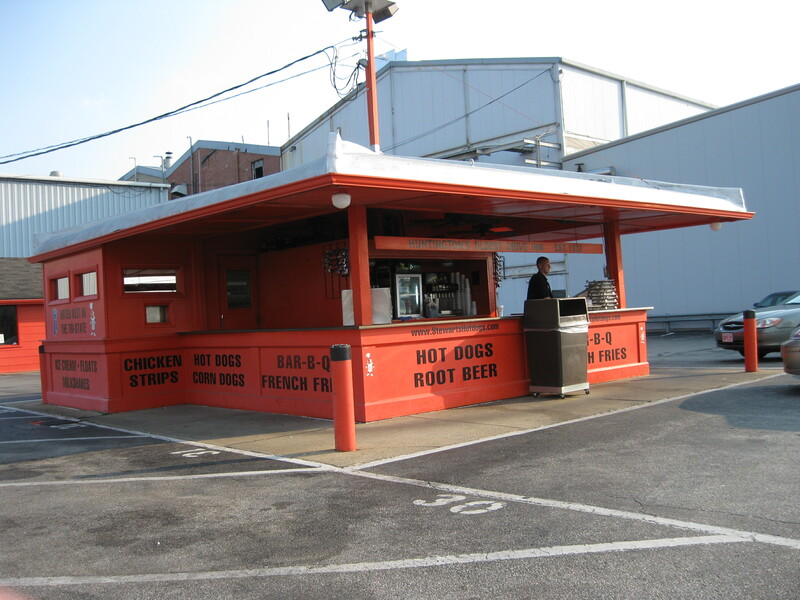 Huntington, West Virginia alone has several excellent hot dog stands. Most offer what are considered “West Virginia hot dog” toppings: cole slaw, onions, and sauce (aka. chili in the southern part of the state). Stewart’s, located in Huntington, has very good hot dogs and great root beer. A hot dog and a frosty, cold glass mug of root beer is a wonderful thing. Although there are several locations, I have a fondness for the stand on Fifth Avenue. It is the original location and has been operating since 1932. This stand still has servers who come out and take your order. They bring your food on a metal tray that sits on your window… just like the old days. The hot dogs are reasonably priced and very tasty. People who like sauce (I am from a more northern part of the state) tell me the chili (as it is called in Huntington) is very good. The root beer is best when you get it in the frosty, frozen mug. I think it must be because there is no ice to water it down. If you live too far away to go to Stewart’s, they do ship their hot dogs. The freeze them and ship them in a cooler. You can just reheat them in your microwave. Although I have never done this for myself, I did send them as a birthday gift a couple of years ago. They were a big hit.